As Litecoin becomes more and more popular, many people are looking for the most suitable miner to mine it. In this post I will review Bitmain’s Antminer L3+, the world’s most popular Scrypt miner, so read on. 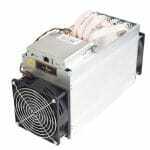 Litecoin ASIC miners are hardware components dedicated to mining the Scrypt algorithm. Based on the BM1485 chip is Bitmain’s Antminer L3+, a newer version of the Antminer L3. The Antminer L3+ is way ahead of the competition when it comes to hashrate VS power draw and price. If you already own an Antminer L3 you can read here our beginner’s guide on how to mine Litecoin. March 2019 update: A newer version, the L3++ was released by Bitmain on May 2018, however, it is very hard to obtain. Additionally, from mixed user reviews it seems that it is no more than a firmware upgrade for the L3+. Last, before buying your mining hardware, make sure you use our profit calculator to see if overall you can make money mining Litecoin. 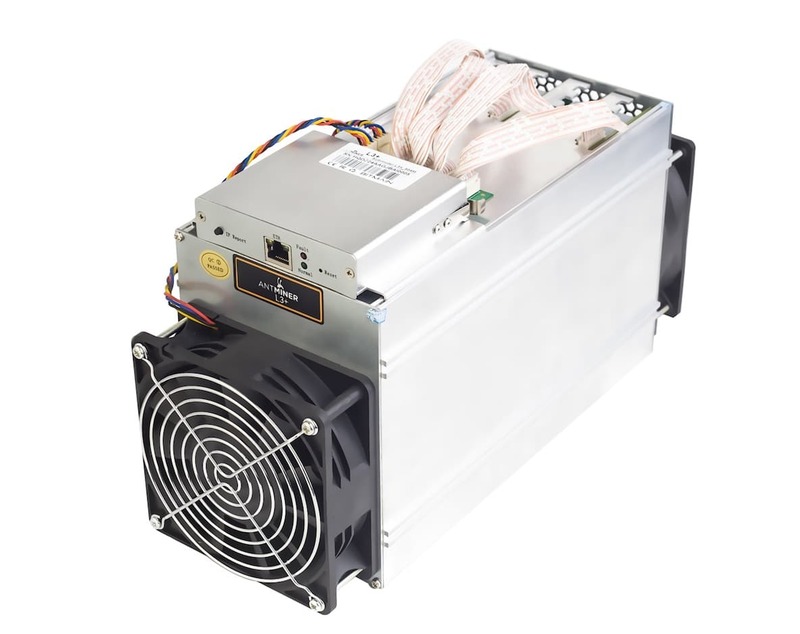 The Antminer L3 Scrypt miner was the first Bitmain ASIC miner dedicated to Litecoin mining. Its release into the market dealt a deadly blow to the competition, Innosilicon’s A4 The Dominator. However, the L3 was quickly sold out on Bitmain’s store and today there are very slim chances you will be able to get your hands on one (your best chances are looking for used ones on eBay). Both L3 types use the same BM1485 chips, so the L3+ is essentially two L3’s boxed together. In the following chapters I will review the Antminer L3+ by comparing it to older models and competing products. The most important comparison criteria for a miner is efficiency, which measures the miner’s hashrate VS. its power draw. Greater hashrate will get you more return but entails more power costs, which can end up eating your earnings. An efficient miner gets you better hashrate for less power. The Antminer L3+ boasts in a hashrate of ~504 MH/s for a power consumption of 800W. For comparison, its retired competitor, the A4 Dominator by Innosilicon was able to deliver a hashrate of 250 MH/s for 1050 watts, which is half the hashrate for %30 more power draw. Interestingly enough, the A4+ “LTCMaster”, Innosilicon’s latest Scrypt mining ASIC, performs better than the L3+, with a hashrate of 620MH/s for a power consumption of 750W. However, the LTCMaster’s price is at least 4 times the price of the L3+, so it might take you a significant amount of time before you’ll get a positive ROI over it. Bottom line – raw hashrate doesn’t tell the full story. All things considered, the L3+ has an advantage compared to other Scrypt miners. The L3+ shipping weight is ~5 kgs, making it fairly chunky compared to the A4+’s ~4 kgs. This difference might not look like much when sitting on the rack, however, when calculating shipping costs (especially for multiple items) this makes the L3+ significantly more expensive. The L3+ is a bit bigger (352mm*130mm*187.5mm) than the LTCMaster (350mm*125mm*155mm). This is another thing to consider when deciding how to stack your rack. Still, when taking into consideration the very uncompetitive price difference, the L3+ is still the leading choice. Both the difficulty and the price (in USD) can and will change over time. While the price can go both ways, from past experience it is highly probable that the difficulty will mostly go up over time. Basically, this means that the profitability projection is only true to the moment of calculation. 5. Conclusion – Should I get the Antminer L3+? The Antminer L3+ is a very solid all-round performer. In terms of efficiency, it’s nearly identical to the newer, more powerful Innosilicon’s A4+ LTCMaster . With the price difference at the time of writing (pre-owned L3+ can be found at as low as $190 while the A4+ doesn’t go lower than $1,100 on Amazon), it’s quite clear that the L3+ is still the “best cash for hash” miner out there. On May 2018 Bitmain released the Antminer l3++, their most advanced Scrypt miner up-to-date. However, most reviews of this model are mixed, with the main complaint being that this is just a new firmware for the L3+ rather than an actual new model. Since the hardware is virtually identical to the L3+, this may well be the case. 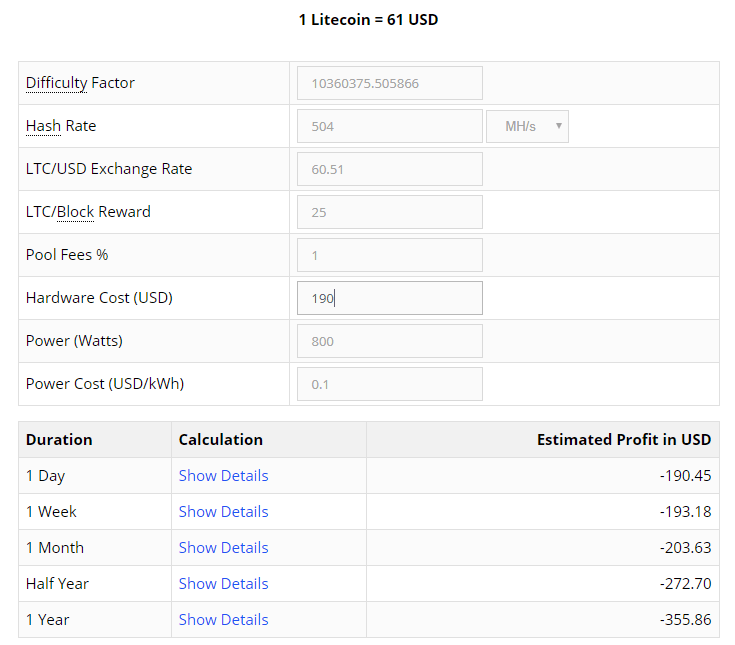 A final word of advice – before spending all your hard earned money on mining hardware, make sure to run the numbers on our Litecoin mining profitability calculator. Mining is a risky business, it involves a significant initial investment. Don’t invest more than you can afford to lose. [Review] Antminer T9 vs. Antminer S9 – Who is the Best Bitcoin Bitcoin Miner? Which is the best coin that by using antminerl3+ we get high returns in shirt time. Ex: ethereum, dash or litecoin. Can it mine bitcoins too? The problem with traders today is that they think they are too smart, they know what they are doing reading a bunch of charts watching videos, following news or making a few profit doesn’t make you a pro. Stop overestimating your self and seek proper guidance and good trading strategy in other to trade and recover your lost, and your money that your brokers refuse giving you back, don’t be a dud and lose all your earning before you realized you are in over your head. The only way you will make money from these is if you get them at the retail price from Bitmain as soon as they are available. Given the difficulty increases you will not make any money and get a nil or negative return on investment if you buy them at the extortionist prices that you have to pay from the rip off merchants who are trying to sell L3+ units for 6,000 USD and up.